In 1967 Anton Paar built and presented the first digital density meter. Now, after more than 50 years of incremental improvements, the company has set out to redefine digital density measurement by inventing a new measuring principle, the pulsed excitation method (PEM), and launching an entire new portfolio of digital density meters. 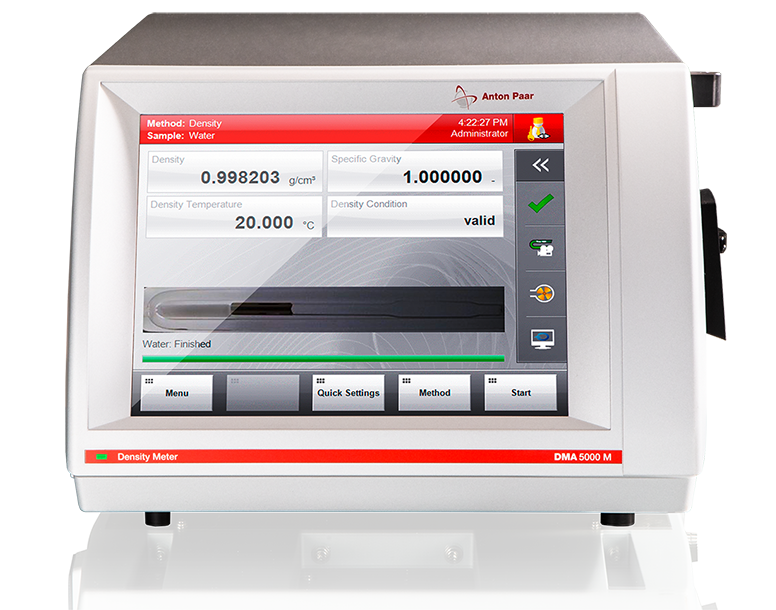 The measuring principle - PEM - provides excellent sensitivity regarding bubbles, particles and sample homogeneity. It also provides the density meter with three times more information about the sample’s characteristics than some conventional methods. The design of the measuring cell guarantees stable results unaffected by any external influences such as frequently changing users with different filling styles. FillingCheck for metal oscillators: due to PEM, filling error detection is now also available for instruments with metal oscillators for measurements up to 150°C.